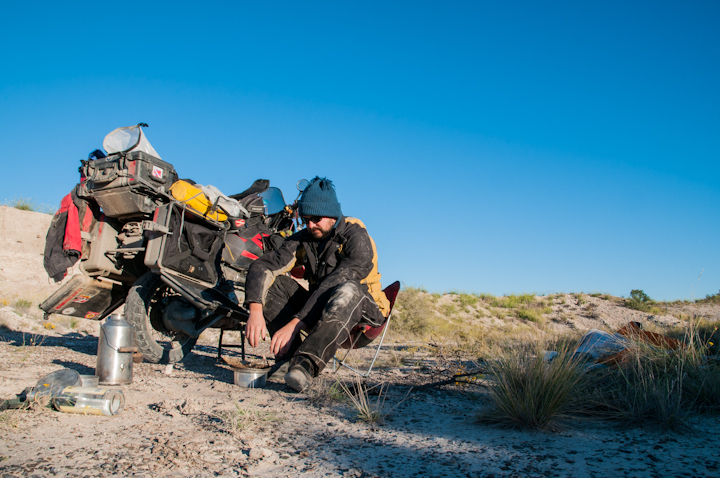 There is always a big argument between motorcyclists on the best option for luggage, specifically the side and rear cases. Most people go with the classic aluminum cases of one brand or another, while some go with plastic cases like Givi’s. But there are a few less common options out there as well. 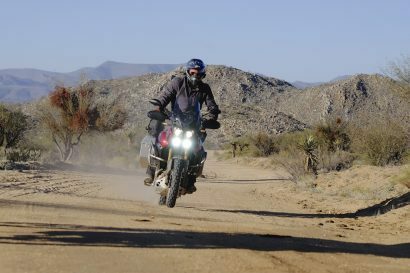 A particularly popular option for dirt bikers is soft luggage, but security is can be questionable. For my purposes, I chose Pelican Cases. 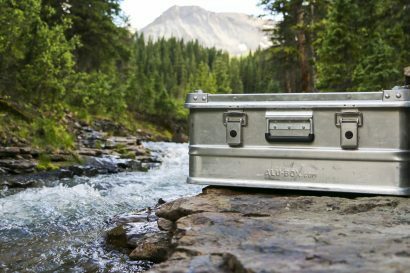 You can buy full turnkey assemblies from Caribou Cases, using a couple different versions of Pelican and other similar brands. Being that I wind up doing most things on a budget, I opted to buy the cases myself and put together my own mounting system. The side cases I went with are Pelican 1550’s, while the rear case is a Pelican 1510LOC. The biggest reason I chose Pelicans was for the cost savings over aluminium cases, and the security benefits over soft bags. A set of Jessie Panniers can run $600 or more, while my Pelicans only cost me $180/pair new (you can find them even cheaper used). They are also are strong enough not to crack like Givi’s, and they won’t bend or dent like aluminium cases will. Obviously this extra strength also adds to the security when you can put two padlocks on each case, and a pocket knife won’t slice them open like soft bags. While not as lightweight as soft bags, they are lighter then aluminium cases, and come with a lifetime warranty should you manage to actually break them. Another consideration that will be specific to individual needs is that cases like Givi or BMW System cases are not square, making it very difficult to pack anything more than clothes. To mount the cases I opted to go with a Happy Trails rack and their mounting pucks. I simply drilled holes in the side of the cases and bolted them on. Using these pucks, if I wanted to remove the cases all I had to do was unscrew the two hand knobs and lift up. 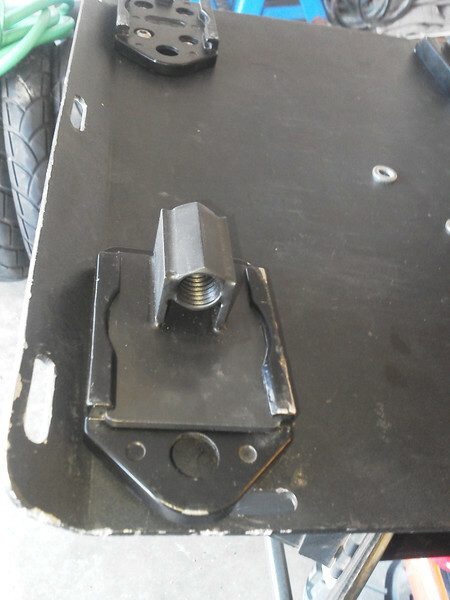 The front brackets of the rack going to the passenger foot pegs broke after a few months, but some reinforced versions were put in their place and the rest of the rack has lasted over 17,000mi of heavy abuse with a full load on them. To mount the top case I couldn’t find any ready made option that I was happy with. I chose the Pelican 1510LOC specifically so that I could have everything I needed for a hotel in that one case, I wanted a quick release mounting system so that when I arrived at a hotel I could simply slide the case off and walk away, leaving everything else untouched on the bike while having everything I needed for a normal night inside. 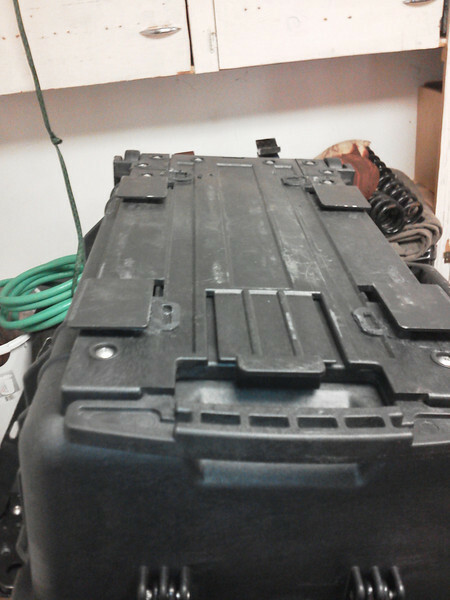 What I ended up doing was picking up a set of 4 shoe mounts and a lock box that bolts on the rear of the sub frame. I bolted the lock box in place, then bolted the 4 shoes to the top of that, with the 4 feet mounted to the bottom of the Pelican. I then ran a padlock through the extend-able handle of the case to a hasp on the lock box. This way it wouldn’t just fall off, and would be secured to the bike so that I could leave it alone at something like a border crossing. 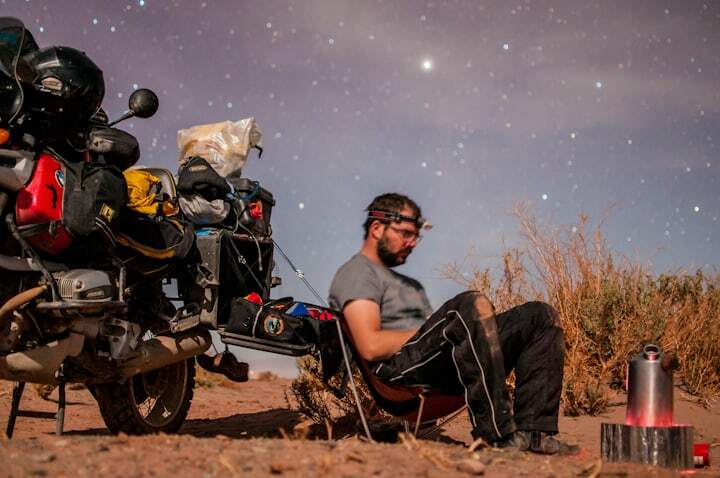 This setup made every moto adventurer I met along the way extremely jealous and myself extremely happy. I am now working on a better system that will involve billet shoe mounts (not the cast I had found pre made) and would be mountable to any surface of your choosing, not just a specific case, or specific bikes luggage rack. The loc box has completely disintegrated, but that is a simple thing to improve, and I may choose to just go with something mounting straight to the sub frame, rather than a separate box. The biggest drawback of the Pelicans is that when mounted to a bike, they are side open instead of top open like the aluminium cases,when you open the case, everything you have shoved into it tends to fall out. My solution for this was to use Cee Bailey’s 1550 case liners, which turned out to be a fantastic choice. I was able to lay the bags flat on the ground, fill them, zip them up and stick them in the cases. When I needed something I could usually just unzip the top 3rd and reach in, keeping everything organized. If I needed lots of stuff, or if I couldn’t find something, I could take the bag out and lay it flat again. This way if I pulled one thing out, what ever is on top would stay right there, making repacking super easy. 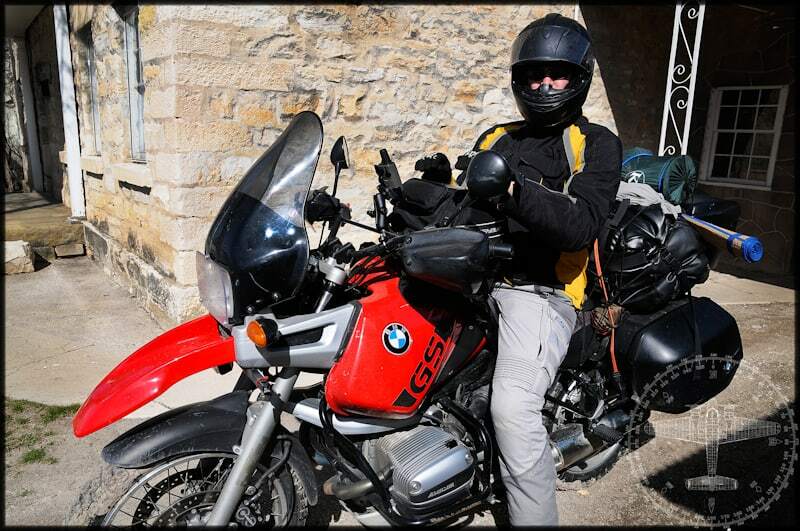 It also meant that if I wanted to leave my gear behind for a day ride it was extremely easy to remove the bags, leaving the now empty cases on the bike for crash protection. An unintended benefit that I discovered after mounting the cases is that since they are side open, they have the potential to make a great table without actually carrying any extra piece of gear. I picked up a set of 4 small Figure 9 rope tighteners and 2mm rope, which I would put through each padlock eyelet going between the case and lid. This enables me to adjust the length of each strap, so that even if the bike isn’t level I am able to to make my table perfectly level. These build in tables proved useful for everything from holding the liner bags to cooking and eating on. 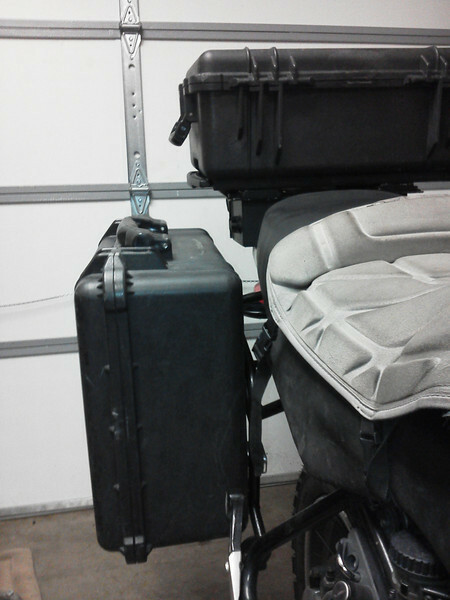 I’m searching a solution for mounting my 1510 pelican case as a top case for my motorcycle. I have seen your project. Can you send me some tricks/solutions? How do you have built the mounting kit? 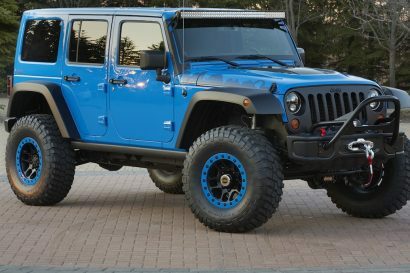 It’s built yourself or have you bought it?